NEW CONSTRUCTION Income producing double in the Carrollton area! Great for owner-occupier!! Each unit has wonderful open floor plans, 3 large bedrooms (6 total) and 2 sparkling bathrooms (4 total). Kitchens have beautiful tone countertops, stainless steel appliances and washer/dryer. Front Porch with Camera Security and Large fenced yard. 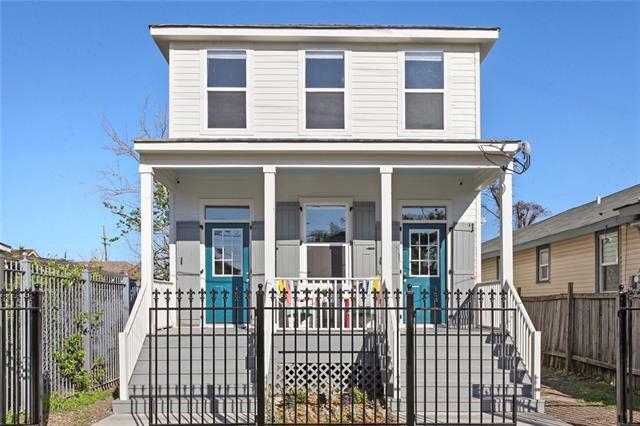 Walking distance to Roberts, Palmer Park and Streetcar line. Flood Zone X. Listing provided courtesy of Elizabeth B Mcnulty of Gardner, Realtors.